Waste Reduction Week 2018 – What is it, and why should we care? Canada ranks 24th on the latest list of recycling rates, behind countries like Greece, Turkey, Chili and 21 others. With the number of recycling programs available to us, it is a statistic that we can easily improve. Waste Reduction Week is unique to Canada. The program focuses on promoting the efficient use of resources and reducing waste. It celebrates environmental efforts and successes and encourages new ideas and solutions to the ever-growing problem of waste. The program provides educational resources with “take action” messaging in order to empower all of us to adopt more environmentally conscious choices. The program also provides info. and ideas for all of us to reduce waste in all areas of daily life. We can all take part in creating solutions to environmental challenges including climate change, water pollution, and natural resource preservation. 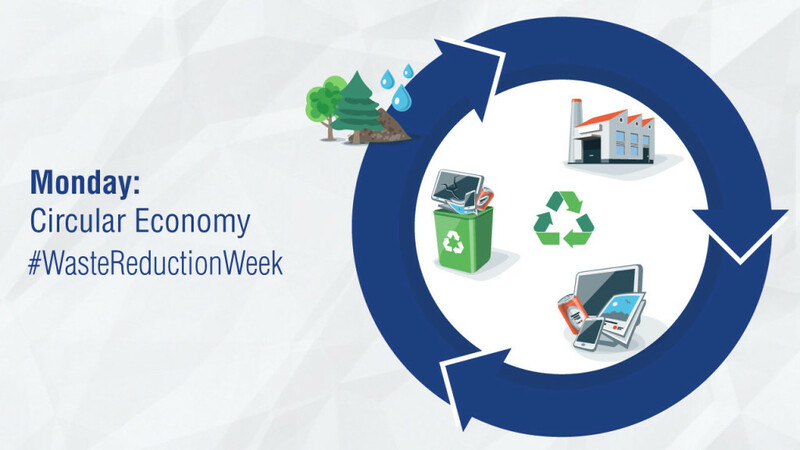 Waste Reduction Week has specified a theme for each day of the week and provides information about that day’s theme on their website. 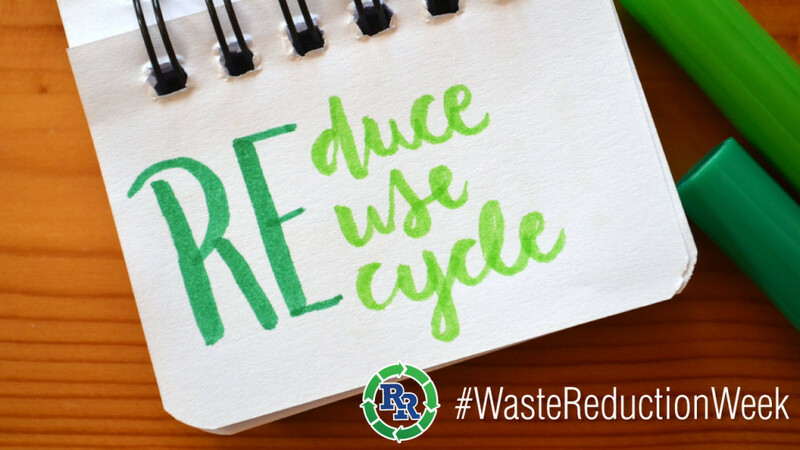 We’ve summarized the days here, and how we at Regional Recycling take part in waste reduction year round. The circular economy is all about reusing and recycling. Over the years our use of single-use products has increased dramatically – a very dangerous trend. Items that we only use once, or that are made from materials that cannot be recycled decrease our natural resources at an alarming rate. And, the improper disposal of these items creates a build-up in our landfills that further harms our planet. 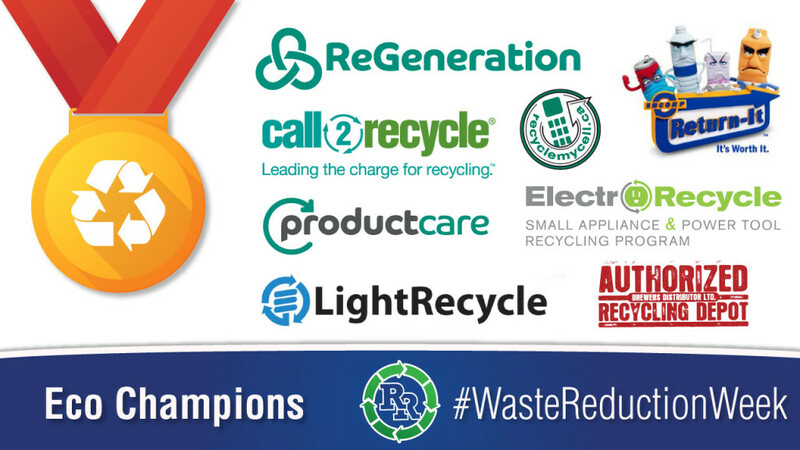 At Regional Recycling we support the circular economy every day by recycling your beverage containers; scrap metal; electronics; paint, pesticides & fuel; paper products; automotive batteries and oil products. Please see our post on beverage container recycling to learn about the beverage containers that can be returned for a deposit refund. We bet there are a couple on the list that you didn’t know you can receive a deposit refund! Did you know: The average person throws away 37 kilograms of textiles each year! Over 95% of these clothes could be reused or recycled! Textiles Tuesday during Waste Reduction is aimed at raising awareness of the environmental consequences of clothing and textiles consumption. Check out their resources with information on Textile Waste: The Facts and Tips & Guides: How to Manage your Textile Waste. 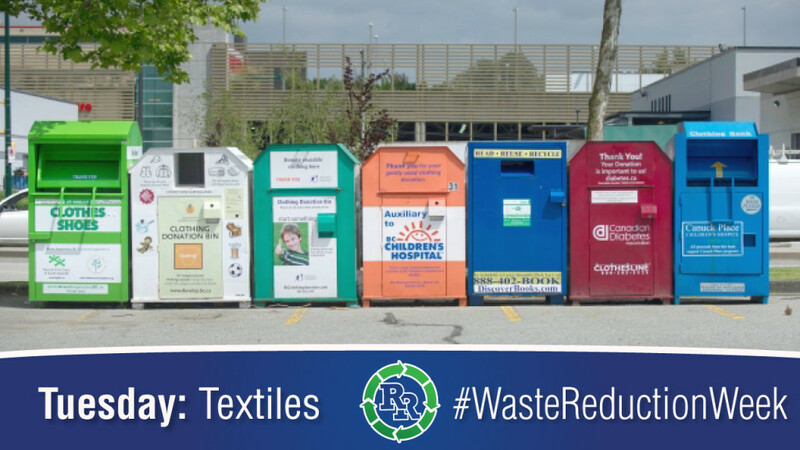 Doing our part to make your textile recycling easy, every Regional Recycling location collects clothing for donation in the DDA bins located in our parking lots. BC Recycles is made up of a number of product stewardship organizations that represent all of the items that most people aren’t quite sure what to do with or how to recycle. In our efforts to be your One Stop Recycling Shop, Regional Recycling partners with the following product stewards. 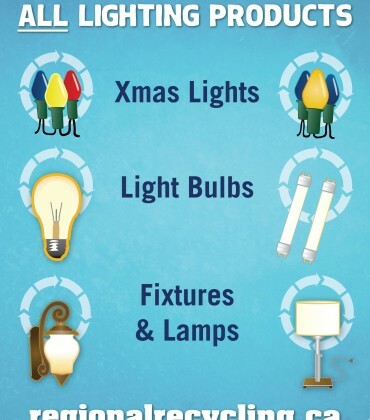 We accept all of the items that they are responsible for in all of our 8 recycling depots throughout BC. Encorp – Return-It Beverage, Alarm Recycle, Light Recycle, Recycle my Cell, ReGeneration, Encorp Return-it Electronics, ElectroRecycle, and Brewers Distributor. Product Stewardship is an environmental strategy for managing the impact of a particular item throughout all stages of that products‘ life cycle. That includes end-of- life management. Waste Reduction Week will focus on plastic on Thursday and there is a wealth of information about plastics on the waste reduction website. Plastics are bad for the environment. They do not break down, they live forever. Our landfills and oceans are filled with this stuff and it is not a good thing, at all. We all need to be more aware of our plastic consumption and change our behavior. We need to reduce our use, reuse as long as humanly possible and recycle properly at the end of its use. Single-use plastic is bad, no matter which way you look at it. Take action and get informed! 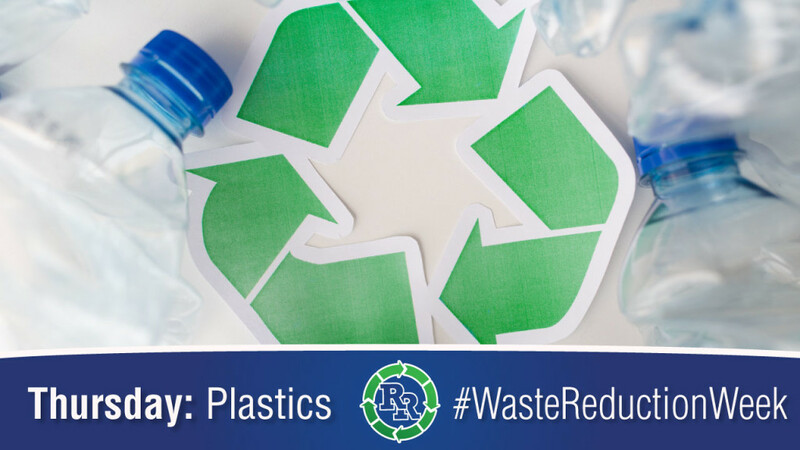 Learn how to reduce and reuse plastics through online resources. 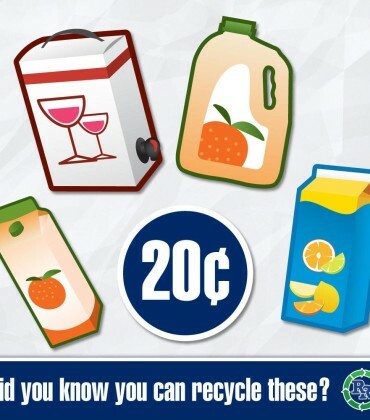 Regional Recycling takes all types of beverage containers and provides you with a full refund! To be clear, Regional Recycling does not handle food waste of any type. But, that doesn’t mean we are not aware of the problem that food waste creates in our environment. Food waste off-gases in landfills. If global food waste were a country, it would be the 3rd largest greenhouse gas emitter after the US and China. 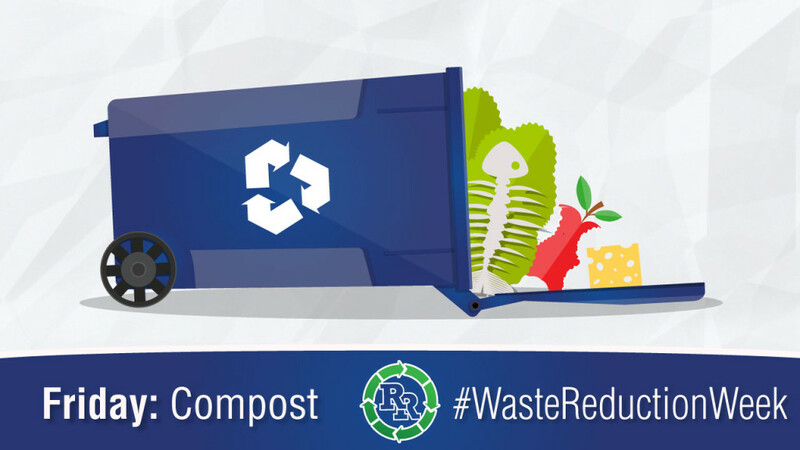 Visit the Waste Reduction Week website to take the food waste pledge! Regional Recycling accepts most items for recycling at the end of their life. Before you recycle, we recommend that you donate, share or repair items. Check out Waste Reduction Week’s website for information and resources to shop, share and repair your used items. E-Waste, or electronics waste is one of the fastest growing categories of waste, and we all need to be aware of the damage that this is doing to our environment. While we all love to get our new ‘toys’ we often do not think about the impact of the waste created when we replace old electronics with new. At Regional we do take all types of electronic waste for recycling. We ask that you ensure that your electronics are beyond repair. If they do still work, we ask that you consider donating your items instead. There are many great organizations throughout the province that will repair your items and provide them to someone who needs them. Canadians started observing Waste Reduction and Recycling Weeks in the mid-1980s, when a number of recycling councils and environmental organizations began holding provincial events. 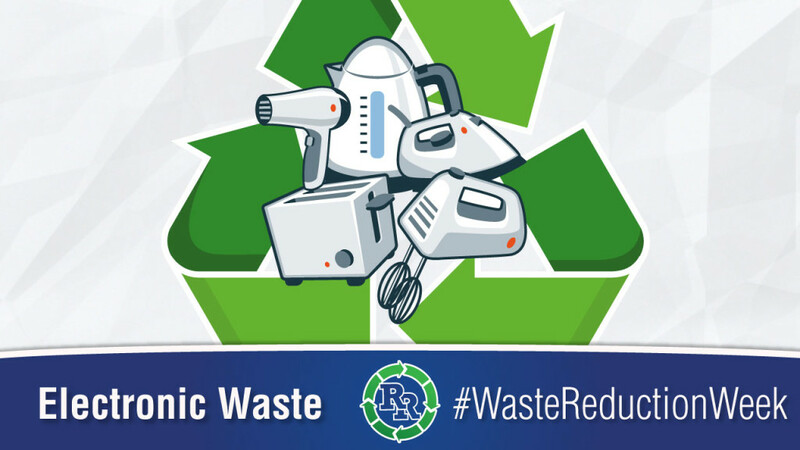 In 2001, the first national Waste Reduction Week program was formally celebrated by Recycling Council of Ontario. Regional Recycling held our first Waste Reduction Week Celebration in 2015.